Here Are the THREE Secret Steps to Activating The Awesome Power of The Law of Attraction – And Why MOST PEOPLE Get Them WRONG. There’s no doubt about it. The Law of Attraction is POWERFUL. Today, tens of thousands of individuals across the globe are applying its techniques in a bid to fill their lives with abundance. But with so many people using it, how come only a handful of individuals are really getting results? But if it really is this simple – how come so many people just AREN’T getting results? Why aren’t all of the ‘daydream visualizers’ in this world suddenly having their ideal lives pop up in front of their eyes? It’s simple. Most people don’t get the results, because they just aren’t adhering to these rules CORRECTLY. Discover the World’s Most Powerful Program for Activating the Law of Attraction – QUICKLY. Attract Studio is the ULTIMATE Law of Attraction package. It contains absolutely EVERYTHING you need to uncover the truth behind the Law of Attraction – PLUS all the tools you need to get started creating your own Attraction Movies, just like the above, TODAY. In fact, within a day of receiving the package, you will have created your OWN polished Attraction Movie (with the help of a secret website we’ll share with you) and will be already starting to see the results of turning yourself into an Attraction Magnet! No other Law of Attraction package comes even close! So, what is the Attract Studio, precisely? Attract Studio is a powerful collection of workbooks, video and audio, that will take ANYONE straight to being a Law of Attraction PRO – whether you’re a total beginner, or an experienced manifestation expert. The Attract Studio package contains over 90 minutes of video tutorial, a full course on the Law of Attraction and Attraction Movies, easy-to-understand cheat sheets, over 115 sample affirmation sets for your movies, ten full ready-to-run Attraction Movies, two audio MP3’s crammed with guidance on using the L.O.A and emotionalising your movies, and MORE. Basically, Attract Studio is EVERYTHING you’ll need to truly ACTIVATE the Law of Attraction, and rocket the results you get, using Attraction Movies. But don’t just listen to me. Let’s take ten minutes out to explore the FULL PACKAGE right now. Want to uncover the truth behind the Law of Attraction? This 35-page guide unveils all. From its historical origins through to how to put it into practice, this workbook shows you how to truly activate its power – and how to use Attraction Movies to boost the results you receive! Sit back and relax, as we guide you through activating the LOA in your life! Watch over 90 minutes of video, as you’re prompted about your deepest desires and what you want from life. You’ll be guided through firming up on your affirmations – then THE MOST IMPORTANT PART – WATCH over our SHOULDER, as we create a sample Attraction Movie (using a special website we’ll share with you) – ALL in front of your very eyes! Two Guided Audio MP3’s – “Simply Listen & Learn!” – Get into your car, and hit that play button! These two audio MP3’s will guide you through the Law of Attraction principles, and help you to visualise precisely what you want. They explain how to use the Guide and Movie MP3 to create your first Attraction Movie. Plus, an enlarged segment on EMOTIONALISING your movie, to rocket your results! Ten FULL, Ready-to-Play Attraction Movies! Want to start with Attraction Movies, WITHOUT the effort? Don’t worry. You don’t even have to create your own videos. 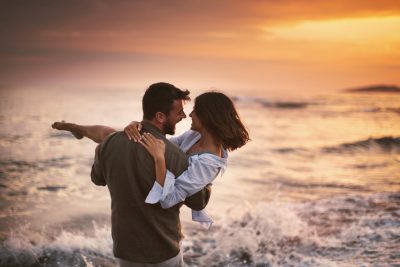 We’ve pre-created ten hi-resolution videos for every major desire – including finding your ideal man or woman, becoming more spiritual, improving family life, boosting confidence & charisma, health and weight loss, energy levels, positive thinking, boosting your self-esteem, living the Law of Attraction and MORE! Stop worrying about getting it right. Use our Affirmation Inspiration guide and find affirmations covering everything – from brain power to sporting skills, business success to phobias. Select your affirmation set, import it to your Attraction Movie, and get ready for big change in your life! All of this, in THE ULTIMATE LAW OF ATTRACTION PACKAGE.